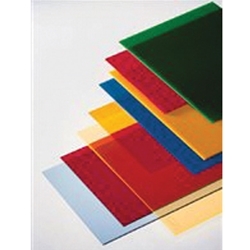 ACRYLITE® extruded acrylic is the highest quality continuously manufactured acrylic sheet on the market today. Using a proprietary, innovative process, ACRYLITE® extruded acrylic products are economical, provide tight thickness tolerance, high optical characteristics and low stress levels. ACRYLITE® extruded acrylic is readily available in a variety of standard sizes and thicknesses, in colors and colorless.